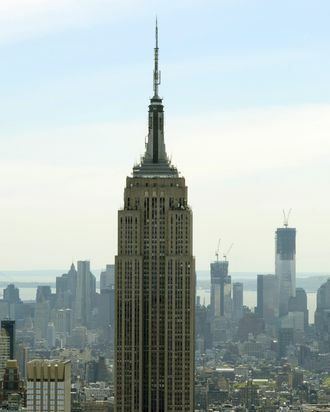 The drone pilot, 27-year-old Sean Riddle, enlisted the help of the security guards at the Empire State Building to try to get his robot back. Security said sure and then went right behind Riddle’s back and called the cops. Riddle was arrested and charged with reckless endangerment and violating the city’s rules on flying these unmanned aerial vehicles. Cops say they’re not sure if the drone is still stuck up there or not, so maybe keep an eye out when you’re on 34th Street. Is it too soon for us to mention Gilbert Gottfried?